Having served as an Indian Police Service (IPS) and Indian Administrative Service (IAS) officer in India before emigrating to Switzerland in 1984, Jogishwar is a Managing Director in the world renowned Edmond de Rothschild Group, Geneva. 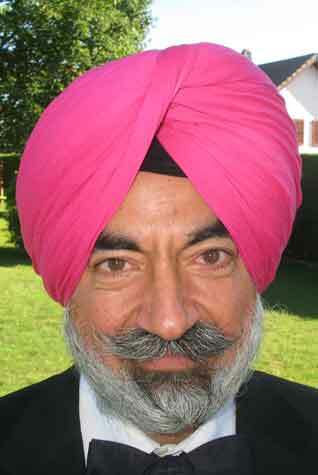 Author of "Banks, Gods and Government" and "Musings of a Swiss Sikh: Essays on Sikh History". If this is “Make in India” quality standard, anybody thinking of actually doing so needs to give it serious thought. Why are we so bothered by this abominable provision? I have evolved a system of getting over each bout of occasional pessimism about the state and future of our community. It was such a relief to see a building dedicated to Sikh heritage not looking like a marble mausoleum plastered with gold plates. Should We Have Icons of Our Gurus? He assured me that they had no idea whose portrait it was (I believe him on that). "Three young Italian soldiers wearing blue berets stopped me and said that I would have to remove my turban ..."
We need a strong presence of Sikh men & women in the financial world to enable our media projects. We should enable the kaar-seva babas to travel to Europe and see the superb restoration work done there on gothic cathedrals.